The Freemans aren’t the typical family. They’re typical in the sense of two parents and two kids, but atypical in that they’re a hearing family that speaks in sign language. Growing out of the mother’s, Laurel’s, fascination with signing as a child, she goes on to major in it and teach her daughters, Charlotte and Callie to sign as well. Laurel is a bit quirky, but that’s why her husband, Charles, fell for her. 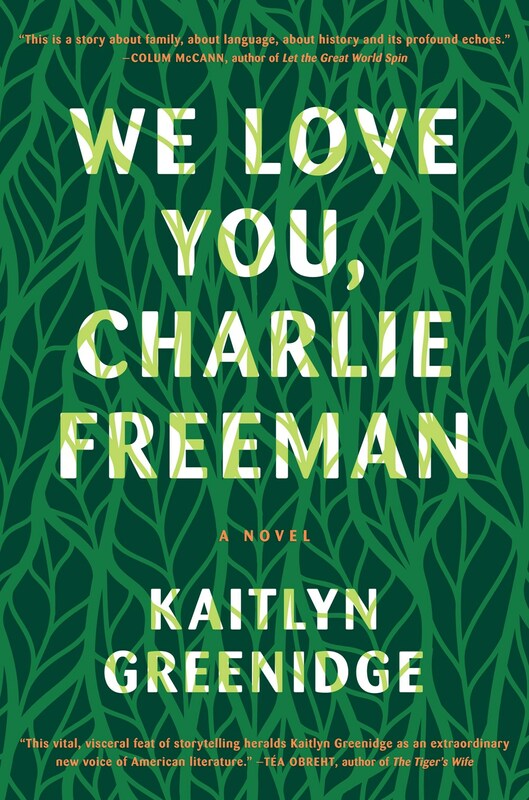 Having been subjected to less than ideal classrooms because of her refusal to “sign white,” Laurel jumps at the opportunity to move her family from the city to rural Massachusetts where she and her family will adopt a chimpanzee into their family with the idea of teaching him to sign. Out of all the families interviewed for an opportunity to live and work at the prestigious Toneybee Institute, Charlotte is horrified to find they’ve been chosen. Not only will she have to live in close quarters with an animal, he’s taken on her nickname and she’s to treat him as a sibling. Callie falls for Charlie immediately and easily takes on the characteristics of a middle child. She dotes on Charlie, lashes out at Charlotte and feels overlooked by her parents. While the family dynamics during the experiment are interesting to watch, I was far more blown away by the backstory of the mysterious woman found in brochures at the institute. Nymphadora is the only child of a pharmacist and his wife. As members of Spring City’s elite, her mother was a Star of the Morning and her father was a Saturnite. Becoming a Star was all Nymphadora ever wanted; so what if she was a 36 year old spinster schoolteacher? At least she had her dignity before her parent’s unfortunate demise. Her vulnerability makes her susceptible to the white man that comes snooping around Spring City doing research. Presenting himself as an anthropologist, Dr. Gardner makes the residents of Spring City uncomfortable. Why is a white man studying residents of their town as if they’re animals in a zoo? He’s acting at the behest of Julia Toneybee-Leroy, his well off patroness who fancies herself a lover of monkeys. Nymphadora is drawn in by him, lonely woman that she is. Taking the risk of bringing shame on herself and to her race, she’ll do anything to keep Dr. Gardner near her. As the story shifts back and forth between 1929 Nymphadora and the present day Freemans, it’s interesting to watch how both Nymphadora and Laurel are sucked into the web the institute weaves. Both women seem to relinquish all common sense and give in to the requests of various members of the institute. While Nymphadora only has her sense of self to lose, Laurel’s entire family is at risk. The whole time I was reading this, I kept wondering what was missing in Laurel that she would put everything aside, including her husband and children, for one chimpanzee. It seemed that she was determined to prove her worth by teaching Charlie to sign, but at what price? How did Laurel’s lack of parenting affect her girls? Affect her husband? She’s watching her family implode, but the only thing that matters to her is Charlie. 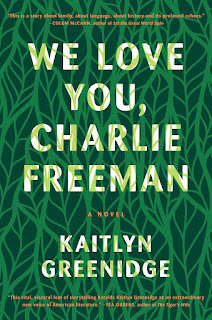 We Love You, Charlie Freeman is one of those stories that stays with you. When I first finished it, I thought, well that’s a 3 star read. Then it kept creeping into my thoughts the rest of the evening. I woke up thinking about it. There’s a lot to unpack and it’s not easily done while you’re actually reading the stories of the Freemans and Nymphadora and the white gaze of their benefactors. The fact that it stayed with me for so long is a sure indicator that Kaitlyn Greenidge accomplished what she set out to do, which is make the reader think.